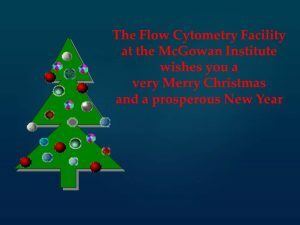 As we recognize and celebrate the achievements of the McGowan Institute faculty, trainees and staff in 2015, may we extend best wishes to all for the holiday season and for 2016. The McGowan Institute Histology Core Laboratory offers Masson Trichromes, automated staining results in one week or less, beautifully reproducible. Through the whole month of January you will receive 20% off your trichrome stains, when you mention this ad. Contact Lori at the McGowan Core Histology Lab and ask about our staining specials. Email perezl@upmc.edu or call 412-624-5265. 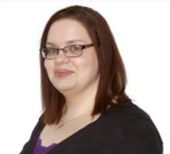 Are you considering incorporating FLOW CYTOMETRY into you research program? Or do you currently use flow cytometry and want or need to move beyond 2, 3, or 4color flow cytometry? With so many different antibodies, dyes, fluorophores and techniques available, sometimes it’s difficult to decide what will best for your experiment. Some antibodies work best using a bright color while others work best using a dim color. Some colors simply don’t play well with each other. Truth be told, the multitude of possibilities can be really confusing. It’s sometimes simpler to just keep doing what we’ve always done. But with a little understanding we can improve and expand our experiments. The 15th Annual McGowan Institute for Regenerative Medicine Scientific Retreat is set to take place on March 6-8, 2016, at Nemacolin Woodlands Resort. The retreat will begin on Sunday afternoon- March 6, 2016- with a series of short courses, followed by a poster session, informal mixer, and keynote session. Dr. Fabrisia Ambrosio and Dr. Vijay Gorantla lead the 2016 program committee that has planned an exciting mix of speakers and topics. Highlights from the 2015 Retreat can be found here. Registration information for the 2016 Retreat is available here. Dr. Fedorchak’s goal was to create a once-a-month controlled-release treatment of a glaucoma drug that is both convenient and comfortable. 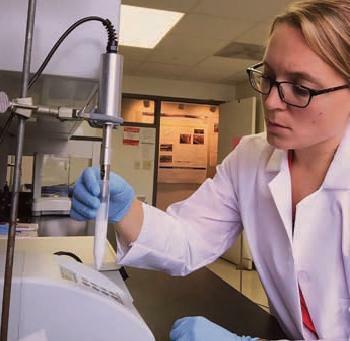 To accomplish this, Dr. Fedorchak used her engineering background to create a substance, which has two components: “You start with a liquid drop, which is administered just like an eye drop and then turns into a gel at body temperature. The gel then settles in the lower eyelid, allowing the eye to move around normally without seeing the gel. It stays in place, is non-degradable, and extremely safe. Secondly, within the gel are polymer microspheres, which are the drug-releasing component. The microspheres break down over time, releasing medication steadily at the ideal rate for drug delivery. By the end of 1 month, when the drug completes the delivery, the gel can be removed and a new drop can be instilled,” states Dr. Fedorchak. Once the gel was developed, it was tested in an animal study. In the animal model, the drug-loaded drop was placed in one eye and tested against animal subjects that received the standard treatment of twice-daily drops in one eye. Dr. Fedorchak observed three important results that indicated how successful this new therapy could be. “The biggest thing is safety: we did not notice any infection, irritation, or anything on a cellular level that would indicate damage. We also saw that the actual efficacy of the treatment (judged by monitoring the intraocular pressure (IOP) in the subjects) saw comparable results to those subjects who received the regular drops twice each day.” Third and most interestingly, was that the eye that received treatment experienced a drop in pressure and the untreated eye was unaffected, whereas in the subjects who received standard drops, the untreated eye also had low pressure, which indicates that it was absorbed systemically and could potentially produce negative side effects. The gel importantly stays where it needs to be, with less access to systemic circulation and more access to the affected tissues than the standard drugs. The gel uses 100 times less drug over the course of a month, ultimately preventing patients from taking more medication than needed. Clearly, this new drug delivery system has the potential to change the way ophthalmic drugs are administered to patients. Dr. Fedorchak and her team are on the cusp of submitting an Investigational New Drug (IND) application to begin a clinical trial and are also exploring other applications for the gel, such as post-operative treatment, which might prevent patients from needing to fill a prescription to manage their post-operative care. Dr. Fedorchak is also collaborating with Deepinder Dhaliwal, MD, Professor of Ophthalmology, using drops to deliver antibiotics following cataract surgery. The team has also submitted a patent application for this new technology, which, if approved, will be a monumental success for the entire Ophthalmology Department at the University of Pittsburgh and its efforts to bring this technology to patients through commercialization. Illustration: Eye & Ear Foundation: Sight & Sound, Fall 2015. 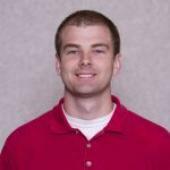 Shawn Bengtson, RQAP-GLP, Quality Systems and Program Manager, McGowan Center for Preclinical Studies has been elected as the 2016 chair of the University Specialty Section of the Society for Quality Assurance. 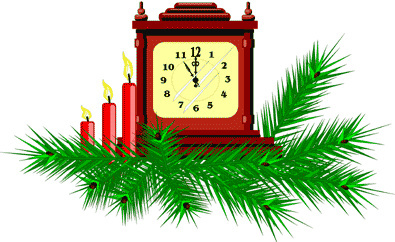 Participates in the regulatory processes related to human, animal and environmental health. As such, SQA promotes the quality principles embodied in Good Clinical Practices (GCPs), Good Laboratory Practices (GLPs), and Good Manufacturing Practices (GMPs) and the emerging concepts of Good Research Practices (GRP) in industry, government, academia and consulting settings. The University Specialty Section (USS) is a committee within SQA consisting of membership that includes over 30 U.S. and international institutions, which serves to network Quality Assurance (QA) professionals addressing regulatory compliance issues related to academic environments. While the members are primarily employed by Universities, there are also representative members from industry and clinical professions. Networking amongst members is facilitated through quarterly regional meetings, training workshops and the annual SQA meeting. The combination of these tools and the connections made among USS members help to facilitate the exchange of evolving best practices related to regulated and non-regulated research and offers mentorship for newer less-experienced members. McGowan Institute for Regenerative Medicine associate director Rocky Tuan, PhD, has been named the Society For Biomaterials 2016 Clemson Award Winner: Contributions to the Literature Award. Per the award’s criterion, this honor seeks to recognize significant contributions to the literature on the science or technology of biomaterials. The importance of the contributions will be evidenced by systematic publications in technical journals, significant critical analyses and/or reviews, the frequent citations and referencing of the contributions by independent writers, and/or the publication of major works such as monographs, textbooks, bibliographies, and edited communications. “Every year we recognize our members for their outstanding achievements in the biomaterials industry, whether it be from industry, academia, regulatory agencies, or from the student population,” said Tom Webster, Society For Biomaterials president. Dr. Tuan’s longstanding research activities in musculoskeletal biology and tissue regeneration, carried out in academia as well as at the U.S. National Institutes of Health, cover basic science and engineering, as well as translational and clinical applications. In basic research, Dr. Tuan’s interests range from skeletal patterning and embryonic cartilage development, to mechanistic aspects of cell signaling and matrix biology, to the biology of adult stem cells and reprogrammed stem cells. Dr. Tuan’s translational and engineering investigations include nanomaterials, bioscaffold design, 3D printing, bioreactor technology, the biology of cell-material interactions, and tissue engineering and regeneration. His clinical research topics of interest include periprostheticosteolysis, molecular diagnosis of orthopaedic infection, development of biodegradable drug delivery systems, and the repair of articular cartilage and nerve injuries. Of significance relative to this award, his research has been a fusion of basic biology and biomaterials, which has advanced the understanding and potential solutions to pressing clinical needs. Dr. Tuan is a internationally-renowned scientist in the areas of connective tissue, molecular/cell biology, and tissue engineering, and has contributed significantly to each of these communities within both academia and federal institutions. His research focuses on the development, growth, function, and health of the musculoskeletal system, the biology of adult stem cells, and the utilization of this knowledge to develop technologies that will regenerate and/or restore function to diseased and damaged musculoskeletal tissues. In addition, he has been a leader studying complex biological systems and in musculoskeletal research, including cartilage development, repair, cell signaling, and matrix biochemistry, and a major contributor to stem cell biology and tissue engineering. Dr. Tuan has earned a well-deserved national and international reputation for innovation and creativity in developing new research directions, particularly those in the area of skeletal biology, stem cell biomedicine, and tissue engineering. For example, his innovation on 3D printing for cell-based tissue regeneration and development was funded by the NIH, and recently also by the U.S. Environmental Protection Agency. McGowan Institute for Regenerative Medicine faculty member Steven Little, PhD, has been elected to the American Institute for Medical and Biological Engineering (AIMBE) College of Fellows, Class of 2016. The AIMBE College of Fellows represents the most accomplished and distinguished medical and biological engineers responsible for innovation and discovery. AIMBE represents the top 2% of medical and biological engineering professionals. At the University of Pittsburgh, Dr. Little is the Chairman of the Department of Chemical and Petroleum Engineering and is a Professor and CNG Faculty Fellow in the Departments of Chemical and Petroleum Engineering, Bioengineering, Immunology, and Ophthalmology. Dr. Little joined the McGowan Institute in 2006 after receiving his PhD from the Massachusetts Institute of Technology. Researchers in Dr. Little’s Lab focus upon therapies that are biomimetic in that they replicate the biological function and interactions of living entities using synthetic systems. The areas of study include bioengineering, chemistry, chemical engineering, ophthalmology, and immunology. The health issues addressed include autoimmune disease, battlefield wounds, cancer, HIV, ocular diseases, and transplantation. 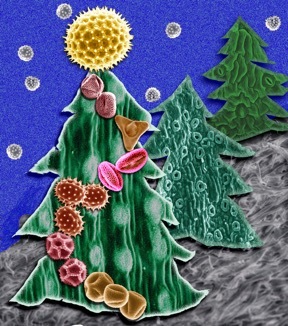 Some of the ongoing research projects in the lab include: Mimicking Biological Structure and Behavior Using Polymeric Release Systems and Carbon Nanotubes, Treatments for Periodontitis that Restore Immunological Homeostasis, Sequential Delivery of Growth Factors for Regeneration of Tissues, and Thermo-gelling Eye Drops for the Delivery of Ophthalmic Therapies. Dr. Little currently has 10 provisional, 2 pending, and 5 issued patents. Since joining the University, Dr. Little has received numerous awards. 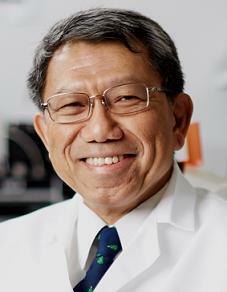 Most recently he was named a Fellow of the Biomedical Engineering Society (2015), one of five Pittsburgh “Disruptors” who are “Shaking Up the Status Quo and Reshaping Our World” by Pop City Pittsburgh (2014), the Innovative Ophthalmic Research Award – Research to Prevent Blindness (RPB) (2014), and the Carnegie Science Award (University Educator) (2013). Dr. Little is also one of the individuals named by the Camille and Henry Dreyfus Foundation as a Dreyfus Teacher-Scholar. He is also the only individual from the School of Engineering to ever win both the Chancellor’s Distinguished Research Award (2012) and the Chancellor’s Distinguished Teaching Award (2013). In 2008, Dr. Little was named a Young Investigator by the Arnold and Mabel Beckman Foundation for his innovative research. Dr. Little is also a Co-Founder for Qrono Inc., a Pittsburgh-based biotech start-up company that custom designs controlled release formulations in silico for pharmaceutical companies, academic laboratories, and agricultural companies. 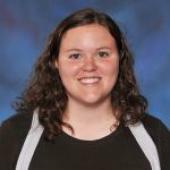 Ms. Loneker is an undergraduate at the University of Pittsburgh studying bioengineering with a concentration in cellular and tissue engineering. 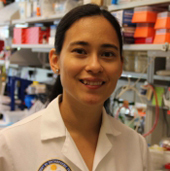 Her current research interests are focused on engineering functional liver tissue by developing novel methods of seeding hepatic cells within a three dimensional scaffold composed of extracellular matrix. She works in the laboratory of McGowan Institute for Regenerative Medicine deputy director Stephen Badylak, DVM, PhD, MD. 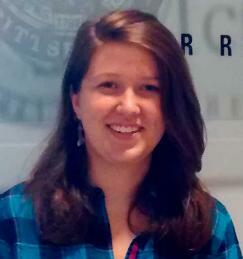 As the recipient of the Society For Biomaterials 2016 Student Award for Outstanding Research, Ms. Loneker will receive a $500 travel expense reimbursement towards the 2016 World Biomaterials Congress in Montreal, Canada (May 17-22, 2016), and the manuscript that was submitted as part of her award nomination will be considered for publication in the Journal of Biomedical Materials Research or Applied Biomaterials. Ricardo Londono, PhD, dissertation defense was July 6, 2015. Dr. Londono entered the CATER Training Program as a MD/PhD candidate through the University of Pittsburgh School of Medicine’s Interdisciplinary Biomedical Graduate Program (IBGP). 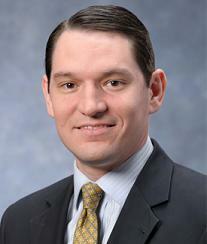 His advisor was McGowan Institute deputy director Stephen Badylak, DVM, PhD, MD, professor of surgery. His thesis committee consisted of: Jon D. Piganelli, PhD, assistant professor, Department of Immunology, and McGowan Institute faculty members Bryan Brown, PhD, assistant professor, Department of Bioengineering, Patricia Hebda, PhD, adjunct professor, School of Medicine, Kacey Marra, PhD, associate professor, Department of Plastic Surgery, and director of the Plastic Surgery Research Laboratory, and Sanjeev Shroff, PhD, distinguished professor and chair, Department of Bioengineering. 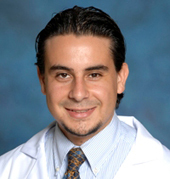 The title of his thesis was: “Mechanisms of Biomaterial-Mediated Cardiac and Esophageal Repair.” Dr. Londono is currently pursuing his medical degree at the University of Pittsburgh School of Medicine. Phoenix: A bio-inductive vascular graft combines the wide applicability of an off-the-shelf prosthetic graft with the in vivo performance of an arteriovenous fistula. Project Team: McGowan Institute for Regenerative Medicine affiliated faculty member Yadong Wang, PhD, Prabir Roy-Chaudhury, MD, PhD, Daniel Long, Eric Jeffries, PhD, Piyusha Gade, Chelsea Stowell. Winner of $100,000. FeetForLife: Use your own fat to cushion painful feet so you can walk for a lifetime with less pain and suffering. 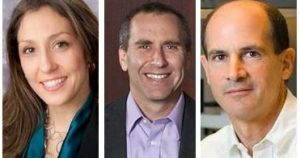 Project Team: Jeffrey Gusenoff, MD, Beth Gusenoff, DPM, McGowan Institute for Regenerative Medicine faculty member Kacey Marra, PhD. Winner of $25,000. PIVOT: Technology which quantifies the pivot shift test that evaluates knee ligamentous injuries. The pivot shift test is associated with future development of osteoarthritis in these patients. 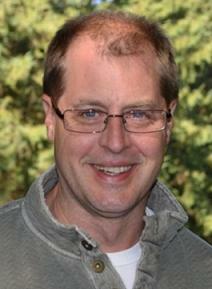 Project Team: McGowan Institute for Regenerative Medicine affiliated faculty member Richard Debski, PhD, Volker Musahl. Winner of $25,000. PInCh is sponsored by the University of Pittsburgh’s Clinical and Translational Science Institute (CTSI), the Office of the Provost, and the Innovation Institute. During the first phase of the competition, which began in May 2015, 46 teams submitted a video entry to answer the question, “How can health be enhanced by bridging factors that impact life stages?” Sixteen teams were then asked to provide a written description of their projects, and finalists were chosen to present during the showcase. Six teams competed in the $100,000 category, and 7 teams competed in the $25,000 category. In addition to the award funding, the winners will get the assistance of a project manager to begin implementing their ideas. #154 –– Dr. Stephen Badylak is a Professor in the Department of Surgery, a deputy director of the McGowan Institute for Regenerative Medicine (MIRM), and Director of the Center for Pre-Clinical Tissue Engineering within the Institute. 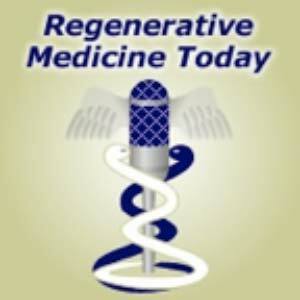 Dr. Badylak discusses his work with the new journal, npj Regenerative Medicine. Winter scene made by assembling SEM images taken from my garden. Summary: Understanding the neurobiology and functional connectivity of hippocampal structures is essential for improving the treatment of mesial temporal lobe epilepsy. At the macroscale, in vivo MRI often reveals hippocampal atrophy and decreased fractional anisotropy, whereas at the microscopic scale, there frequently is evidence of neuronal loss and gliosis. Mossy fiber sprouting in the dentate gyrus (DG), with evidence of glutamatergic synapses in the stratum moleculare (SM) putatively originating from granule cell neurons, may also be observed. This aberrant connection between the DG and SM could produce a reverberant excitatory circuit. However, this hypothesis cannot easily be evaluated using macroscopic or microscopic techniques. We here demonstrate that the ex vivo mesoscopic MRI of surgically excised hippocampi can bridge the explanatory and analytical gap between the macro- and microscopic scale. Specifically, diffusion- and T2 -weighted MRI can be integrated to visualize a cytoarchitecture that is akin to immunohistochemistry. An appropriate spatial resolution to discern individual cell layers can then be established. Processing of diffusion tensor images using tractography detects extra- and intrahippocampal connections, hence providing a unique systems view of the hippocampus and its connected regions. Here, this approach suggests that there is indeed an aberrant connection between the DG and SM, supporting the sprouting hypothesis of a reverberant excitatory network. Mesoscopic ex vivo MR imaging hence provides an exciting new avenue to study hippocampi from treatment-resistant patients and allows exploration of existing hypotheses, as well as the development of new treatment strategies based on these novel insights.